The pain radiated from the top of Annette Monachelli’s head, and it got worse when she changed positions. It didn’t feel like her usual migraine. The 47-year-old Vermont attorney-turned-innkeeper visited her local doctor at the Stowe Family Practice twice about the problem in late November 2012, but got little relief. Gaps in interoperability: Proponents of EHRs expected a seamless system so patients could share computerized medical histories in a flash with doctors and hospitals anywhere in the country. That has yet to materialize, largely because officials allowed hundreds of competing firms to sell medical records software unable to exchange information. Web of secrets: Entrenched policies continue to keep software failures out of public view. 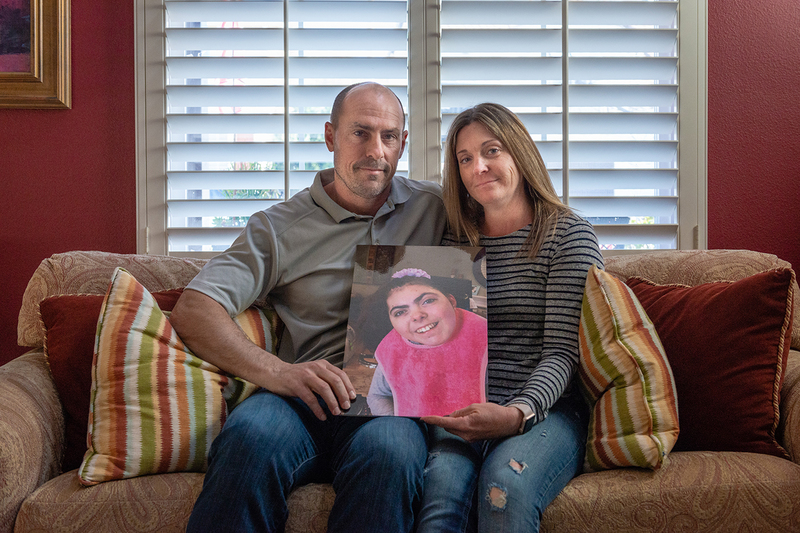 EHR vendors have imposed contractual “gag clauses” that discourage buyers from speaking out about safety issues and disastrous software installations — and some hospitals fight to withhold records from injured patients or their families. Monachelli’s husband sued Stowe, the federally qualified health center the physician worked for. Owen Foster, a newly hired assistant U.S. attorney with the District of Vermont, was assigned to defend the government. Though it looked to be a standard medical malpractice case, Foster was on the cusp of discovering something much bigger — what his boss, U.S. Attorney Christina Nolan, calls the “frontier of health care fraud” — and prosecuting a first-of-its-kind case that landed the largest financial recovery in Vermont’s history. The software in question was an electronic health records system, or EHR, made by eClinicalWorks, one of the leading sellers of record-keeping software for physicians in America, currently used by 850,000 health professionals in the U.S. It didn’t take long for Foster to assemble a dossier of troubling reports — Better Business Bureau complaints, issues flagged on an eCW user board and legal cases filed around the country — suggesting the company’s technology didn’t work quite the way it said it did. Damning evidence came from a whistleblower claim filed in 2011 against the company. Brendan Delaney, a British cop turned EHR expert, was hired in 2010 by New York City to work on the eCW implementation at Rikers Island, a jail complex that had more than 100,000 inmates. But soon after he was hired, Delaney noticed scores of troubling problems with the system, which became the basis for his lawsuit. The patient medication lists weren’t reliable; prescribed drugs would not show up, while discontinued drugs would appear as current, according to the complaint. The EHR would sometimes display one patient’s medication profile accompanied by the physician’s note for a different patient, making it easy to misdiagnose or prescribe a drug to the wrong individual. Prescriptions, some 30,000 of them in 2010, lacked proper start and stop dates, introducing the opportunity for under- or overmedication. The eCW system did not reliably track lab results, concluded Delaney, who tallied 1,884 tests for which they had never gotten outcomes. The eCW spaghetti code was so buggy that when one glitch got fixed, another would develop, the government found. The user interface offered a few ways to order a lab test or diagnostic image, for example, but not all of them seemed to function. The software would detect and warn users of dangerous drug interactions, but unknown to physicians, the alerts stopped if the drug order was customized. “It would be like if I was driving with the radio on and the windshield wipers going and when I hit the turn signal, the brakes suddenly didn’t work,” Foster said. If there is a kicker to this tale, it is this: The U.S. government bankrolled the adoption of this software — and continues to pay for it. Or, more accurately, taxpayers do. Which brings us to the strange, sad and aggravating story that unfolds below. It is not about one lawsuit or a piece of sloppy technology. Rather, it’s about a trouble-prone industry that intersects, in the most personal way, with every one of our lives. It’s about a $3.7 trillion health care system idling at the crossroads of progress. And it’s about a slew of unintended consequences — the surprising casualties of a big idea whose time had seemingly come. Electronic health records were supposed to do a lot: make medicine safer, bring higher-quality care, empower patients and even save money. Boosters heralded an age when researchers could harness the big data within to reveal the most effective treatments for disease and sharply reduce medical errors. Patients, in turn, would have truly portable health records, being able to share their medical histories in a flash with doctors and hospitals anywhere in the country — essential when life-and-death decisions are being made in the ER. But 10 years after President Barack Obama signed a law to accelerate the digitization of medical records — with the federal government, so far, sinking $36 billion into the effort — America has little to show for its investment. 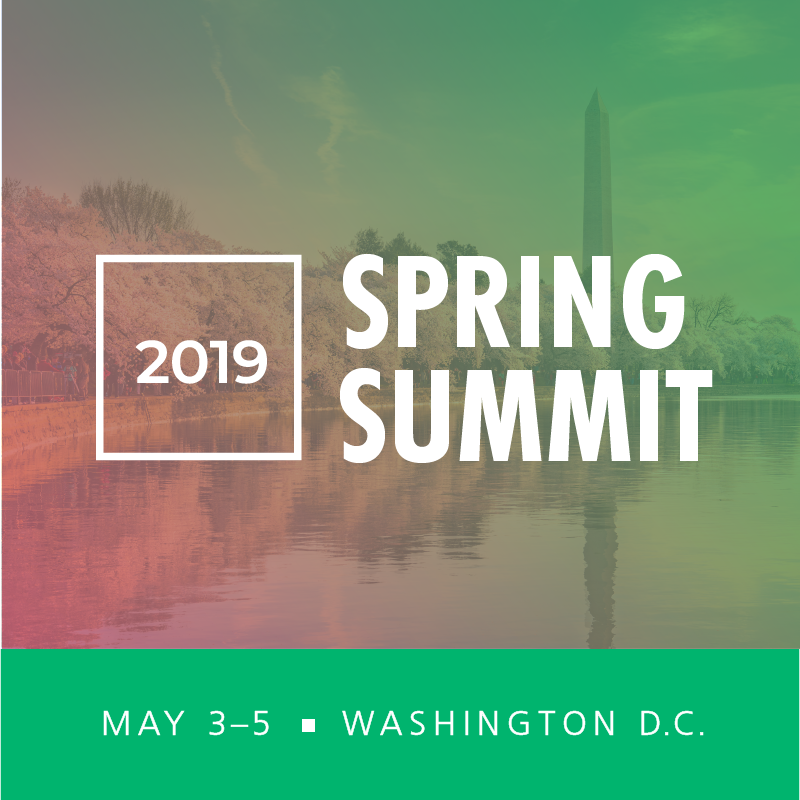 KHN and Fortune spoke with more than 100 physicians, patients, IT experts and administrators, health policy leaders, attorneys, top government officials and representatives at more than a half-dozen EHR vendors, including the CEOs of two of the companies. The interviews reveal a tragic missed opportunity: Rather than an electronic ecosystem of information, the nation’s thousands of EHRs largely remain a sprawling, disconnected patchwork. Moreover, the effort has handcuffed health providers to technology they mostly can’t stand and has enriched and empowered the $13 billion-a-year industry that sells it. 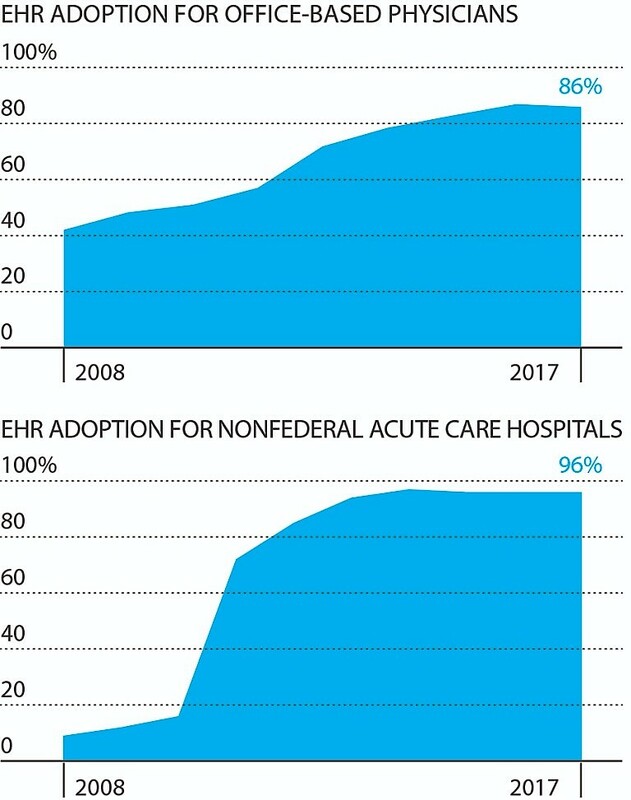 The stimulus bill accomplished one of its goals in dramatic fashion: driving the rapid adoption of EHRs at physician practices and hospitals. Though the software has reduced some types of clinical mistakes common in the era of handwritten notes, Raj Ratwani, PhD, a researcher at MedStar Health in Washington, D.C., has documented new patterns of medical errors tied to EHRs that he believes are both perilous and preventable. “The fact that we’re not able to broadcast that nationally and solve these issues immediately, and that another patient somewhere else may be harmed by the very same issue — that just can’t happen,” he said. As Biden would say, the original concept was a smart one. The wave of digitization had swept up virtually every industry, bringing both disruption and, in most cases, greater efficiency. And perhaps none of these industries was more deserving of digital liberation than medicine, where life-measuring and potentially lifesaving data was locked away in paper crypts — stack upon stack of file folders at doctors’ offices across the country. Stowed in steel cabinets, the records were next to useless. Nobody — particularly at the dawn of the age of the iPhone — thought it was a good idea to leave them that way. The problem, say critics, was in the way that policymakers set about to transform them. KHN and Fortune examined more than two dozen medical negligence cases that have alleged EHRs either contributed to injuries, had been improperly altered or were withheld from patients to conceal substandard care. In such cases, the suits typically settle prior to trial with strict confidentiality pledges, so it’s often not possible to determine the merits of the allegations. EHR vendors also frequently have contract stipulations, known as “hold harmless clauses,” that protect them from liability if hospitals are later sued for medical errors — even if they relate to an issue with the technology. But lawsuits, like that filed by Fabian Ronisky, that do emerge from this veil are quite telling. Ronisky, according to his complaint, arrived by ambulance at Providence Saint John’s Health Center in Santa Monica, California, on the afternoon of March 2, 2015. For two days, the young lawyer had been suffering from severe headaches while a disorienting fever left him struggling to tell the 911 operator his address. Thirteen-year-old Brooke Dilliplaine, who was severely allergic to dairy, was given a probiotic containing milk. The two doses sent her into “complete respiratory distress” and resulted in a collapsed lung, according to a lawsuit filed by her mother. Rory Staunton, 12, scraped his arm in gym class and then died of sepsis after ER doctors discharged the boy on the basis of lab results in the EHR that weren’t complete. And then there’s the case of Thomas Eric Duncan. The 42-year-old man was sent home in 2014 from a Dallas, Texas, hospital infected with Ebola virus. Though a nurse had entered in the EHR his recent travel to Liberia, where an Ebola epidemic was then in full swing, the doctor never saw it. Duncan died a week later. The Joint Commission, which certifies hospitals, has sounded alarms about a number of issues, including false alarms — which account for between 85 and 99 percent of EHR and medical device alerts. (One study by researchers at Oregon Health & Science University estimated that the average clinician working in the intensive care unit may be exposed to up to 7,000 passive alerts per day.) Such overwarning can be dangerous. From 2014 to 2018, the commission tallied 170 mostly voluntary reports of patient harm related to alarm management and alert fatigue — the phenomenon in which health workers, so overloaded with unnecessary warnings, ignore the occasional meaningful one. Of those 170 incidents, 101 resulted in patient deaths. To be sure, medical errors happened en masse in the age of paper medicine, when hospital staffers misinterpreted a physician’s scrawl or read the wrong chart to deadly consequence, for instance. But what is perhaps telling is how many doctors today opt for manual workarounds to their EHRs. Aaron Zachary Hettinger, MD, an emergency medicine physician with MedStar Health in Washington, D.C., said that when he and fellow clinicians need to share critical patient information, they write it on a whiteboard or on a paper towel and leave it on their colleagues’ computer keyboards. Safety events owing to EHR and other health IT issues have been steadily rising. Even so, experts say cases are widely underreported. A broad coalition of actors, from National Nurses United to the Texas Medical Association to leaders within the FDA, has long called for oversight on electronic-record safety issues. Among the most outspoken is Ratwani, who directs MedStar Health’s National Center on Human Factors in Healthcare, a 30-person institute focused on optimizing the safety and usability of medical technology. Ratwani spent his early career in the defense industry, studying things like the intuitiveness of information displays. When he got to MedStar in 2012, he was stunned by “the types of [digital] interfaces being used” in health care, he said. 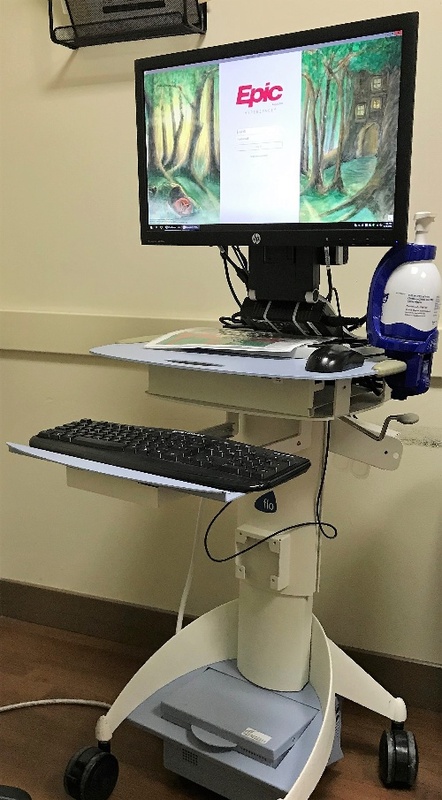 Using eye-tracking technology, Ratwani has demonstrated on video just how easy it is to make mistakes when performing basic tasks on the nation’s two leading EHR systems. When emergency room doctors went to order Tylenol, for example, they saw a dropdown menu listing 86 options, many of which were irrelevant for the specified patient. They had to read the list carefully, so as not to click the wrong dosage or form — though many do that, too: In roughly 1 out of 1,000 orders, physicians accidentally select the suppository (designated “PR”) rather than the tablet dose (“OR”), according to one estimate. That’s not an error that will harm a patient — though other medication mixups can and do. 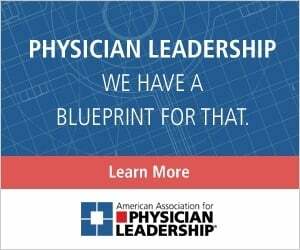 This year, MedStar’s human-factors center launched a website and public awareness campaign with the American Medical Association to draw attention to such rampant mistakes — they use the letters “EHR” as an initialism for “Errors Happen Regularly” — and to petition Congress for action. Ratwani is pushing for a central database to track such errors and adverse events. “You’re sitting in front of a patient, and there are so many things you have to do, and you only have so much time to do it in — seven to 11 minutes, probably — so when do you really listen?” asked John-Henry Pfifferling, PhD, a medical anthropologist who counsels physicians suffering from burnout. “If you go into medicine because you care about interacting, and then you’re just a tool, it’s dehumanizing,” said Pfifferling, who has seen many physicians leave medicine over the shift to electronic records. “It’s a disaster,” he said. Even if docs may be at the keyboard during visits, they report having to spend hours more outside that time — at lunch, late at night — in order to finish notes and keep up with electronic paperwork (sending referrals, corresponding with patients, resolving coding issues). That’s right — EHRs didn’t take away paperwork; the systems just moved it online. And there’s a lot of it: 44 percent of the roughly six hours a physician spends on the EHR each day is focused on clerical and administrative tasks, like billing and coding, according to a 2017 Annals of Family Medicine study. For all that so-called “pajama time” — the average physician logs 1.4 hours per day on the EHR after work — they don’t get a cent. Many of the EHR makers acknowledge physician burnout is real and say they’re doing what they can to lessen the burden and enhance user experience. Sam Butler, MD, a pulmonary critical care specialist who started working at Epic in 2001, leads those efforts at the Wisconsin-based company. When doctors get more than 100 messages per week in their in-basket (akin to an email inbox), there’s a higher likelihood of burnout. The idea had already been a fashionable one in Washington. Former House Speaker Newt Gingrich was fond of saying it was easier to track a FedEx package than one’s medical records. Bush, Obama’s predecessor, had also pursued the idea of wiring up the country’s health system. He didn’t commit much money, but Bush did create an agency to do the job: the Office of the National Coordinator. One in five people surveyed this year by the Kaiser Family Foundation has found a mistake in their EHR. Of those, nearly half have incorrect medical histories. Bob Kocher, MD, a star investor with venture capital firm Venrock who served in the Obama administration from 2009 to 2011 as a health and economic policy adviser, not only defends the rollout then but also disputes the notion that the government initiative has been a failure at all. “EHRs have totally lived up to the hype and expectations,” he said, emphasizing that they also serve as a technology foundation to support innovation on everything from patients accessing their medical records on a smartphone to AI-driven medical sleuthing. Others note the systems’ value in aggregating medical data in ways that were never possible with paper — helping, for example, to figure out that contaminated water was poisoning children in Flint, Michigan. But Frantz heard a far different message about EHRs — and, more important, it was coming from his own customers. Although there are more than 700 federally certified HER vendors in the United States, most of the business is concentrated among a handful of top sellers. Here is the market-share leaders among hospitals and doctors’ offices participating in the Medicare incentive program. RELATED: Cybersecurity — Are Physician Leaders Ready for Worst-Case Scenario? 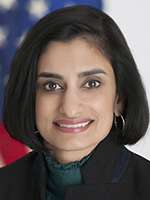 In early 2017, Verma, then the newly appointed CMS administrator, went on a listening tour. She visited doctors around the country, at big urban practices and tiny rural clinics. From those front-line physicians she consistently heard one thing: They hated their electronic health records. “Physician burnout is real,” she said. The doctors spoke of the difficulty in getting information from other systems and providers, and they complained about the government’s reporting requirements, which they perceived as burdensome and not meaningful. What she heard then became suddenly personal one summer day in 2017, when her husband, himself a physician, collapsed in the airport on his way home to Indiana after a family vacation. For a frantic few hours, the CMS administrator fielded phone calls from first responders and physicians — Did she know his medical history? Did she have information that could save his life? — and made calls to his doctors, scrambling to piece together his record, which should have been there in one piece. Her husband survived, but it laid bare the dysfunction and danger inherent in the existing health information ecosystem. What the framers of that vision didn’t count on were the business incentives working against it. A free exchange of information means that patients can be treated anywhere. And though they may not admit it, many health providers are loath to lose their patients to a competing doctor’s office or hospital. There’s a term for that lost revenue: leakage. And keeping a tight hold on patients’ medical records is one way to prevent it. Last spring, Verma attempted to kickstart the sharing effort and later pledged a war on “information blocking,” threatening penalties for bad actors. She has promised to reduce the documentation burden on physicians and end the gag clauses that protect the EHR industry. Regarding the first effort at least, “there was consensus that this needed to happen and that it would take the government to push this forward,” she said. In one sign of progress last summer, the dueling sharing initiatives of Epic and Cerner, the two largest players in the industry, began to share with each other — though the effort is fledgling. Sometimes the mere effort to access records leads to court. Jennifer De Angelis, a Tulsa, Oklahoma, attorney, has frequently sparred with hospitals over releasing her clients’ records. She said they either attempt to charge huge sums for them or force her to obtain a court order before releasing them. De Angelis added that she sometimes suspects the records have been overwritten to cover up medical mistakes. More than a dozen other attorneys interviewed cited similar problems, especially with gaining access to computerized “audit trails.” In several cases, court records show, government lawyers resisted turning over electronic files from federally run hospitals. That happened to Russell Uselton, an Oklahoma lawyer who represented a pregnant teen admitted to the Choctaw Nation Health Care Center in Talihina, Oklahoma. Shelby Carshall, 18, was more than 40 weeks pregnant at the time. Doctors failed to perform a cesarean section, and her baby was born brain-damaged as a result, she alleged in a lawsuit filed in 2017 against the U.S. government. The baby began having seizures at 10 hours old and will “likely never walk, talk, eat, or otherwise live normally,” according to pleadings in the suit. Though the federal government requires hospitals to produce electronic health records to patients and their families, Uselton had to obtain a court order to get the baby’s complete medical files. Government lawyers denied any negligence in the case, which is pending. “They try to hide anything from you that they can hide from you,” Uselton said. “They make it extremely difficult to get records, so expensive and hard that most lawyers can’t take it on,” he said. Nor, it seems, can high-ranking federal officials. When Verma’s husband was discharged from the hospital after his summer health scare, he was handed a few papers and a CD-ROM containing some medical images — but missing key tests and monitoring data. Said Verma, “We left that hospital and we still don’t have his information today.” That was nearly two years ago. This article is a collaboration of Kaiser Health News and Fortune magazine. It originally was published on March 18, 2019, by Kaiser Health News.